Some beautiful Spring colours today. 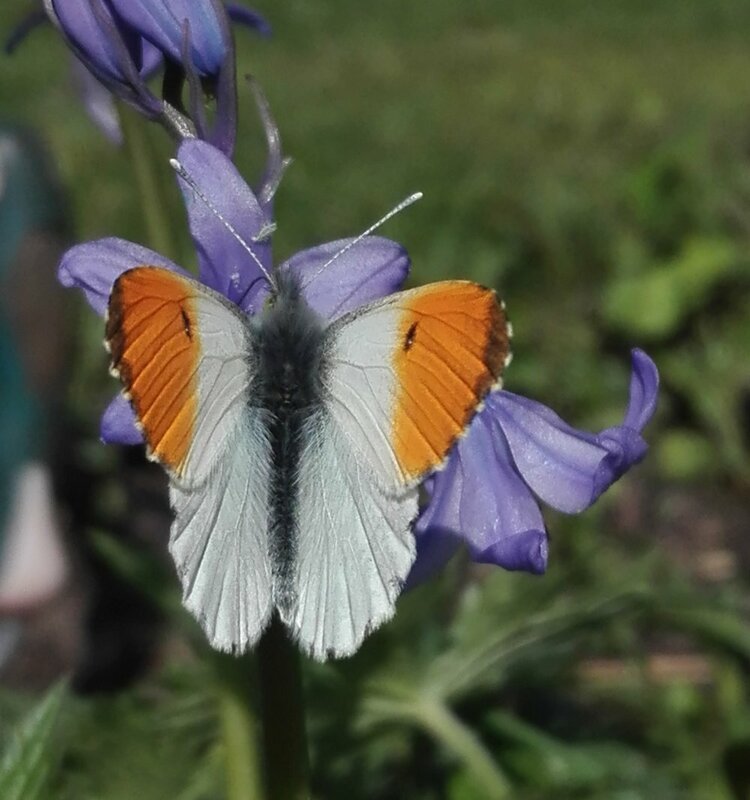 Orange-tips are my favourite butterfly, turning up regular as clockwork in the garden each April. They are the first of the butterflies that do not hibernate as adults, but emerge in Spring from their chrysalis, to appear. Often they just flutter straight through, so it was nice to get this shot of male enjoying my (Spanish) bluebells. Typical food-plants for the caterpillars include Cuckoo Flower or Lady’s Smock, my most recent addition to the list at #453. 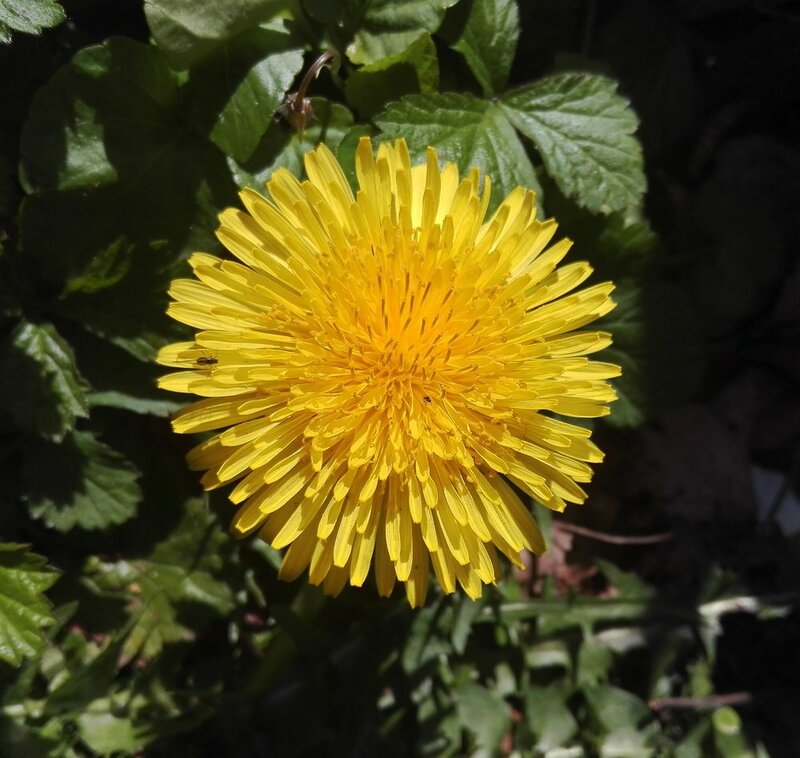 I also couldn’t resist this photo of a Common Dandelion (Taraxacum officinale, #21) flower; another shot of beautiful colour from a wild corner of the garden.